and we’re here to help every step of the way. We specialize in dental services for kids and teens. Dental cleanings, sealants, fillings and orthodontics. Teeth cleaning is part of oral hygiene and involves the removal of dental plaque (dental caries) from teeth. Natural looking fillings that match the tone of the surrounding enamel. 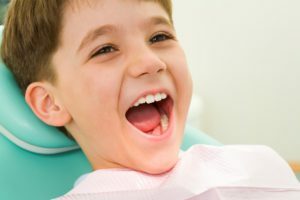 We use modern techniques and appliances to create a perfect smile for kids and teens. The staff was friendly, competent, and were extremely patient with my super busy 5yr old. It was her first visit and she was very curious and hyper. They handled her with ease and grace. They were great help and thorough. We had a wonderful experience and will be trusting Dr. Perez for all our future pediatric dental/Ortho needs. My daughter just started going to Dr Perez last year. We’re very pleased with Dr Perez & the staff is always so friendly. He is very patient with my daughter and explains everything to me that’s recommended/needs to be done and why. If my son wasn’t a special needs child, Dr Perez would be his dentist too! My 14 yrs old autistic child loves this practice. Dawn demonstrated love, caring and patience with my son during cleanings and now he is an Orthodontics patient, he loves her. Now Christy does most of his orthodontic work and he feels very comfortable. Dr. Perez is very sweet and knowledgeable, he speaks to him in a soft and caring voice, not everybody has the gift to work with special needs children. Front desk is awesome very pleasant and friendly. I will definitely recommend this practice to my friends. Thanks for your love and patience with my son. Pediatric dentists are dedicated to the oral health of children from infancy through the teen years. They have the experience and qualifications to care for a child’s teeth, gums, and mouth from baby teeth to adult teeth! Since children are not always patient in the dentist chair, seeing a pediatric dentist can help your child better enjoy their experience. During a dental exam, the dentist or hygienist will clean your child’s teeth and check for cavities and gum disease. The dentist or hygienist will also evaluate his or her risk of developing other oral health problems, as well as check the face, neck and mouth for abnormalities. 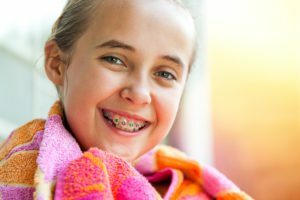 Orthodontics is the branch of dentistry concerned with the treatment of irregularities in the teeth (especially of alignment and occlusion) and jaws, including the use of braces. Every child deserves to have a positive experience with their visits to the dentist. Constructive and compassionate interaction with a dentist early in a child’s life can promote a lifetime of good oral health. At Orthodontics and Dentistry for Kids, we provide an understanding and personal approach to comprehensive dental care. We also allow parents to take an active role in the child’s appointments. Our resolution is to create a positive outlook about oral health for all of our patients, beginning as early as your child’s first tooth. We have been practicing pediatric dentistry for more than 30 years. 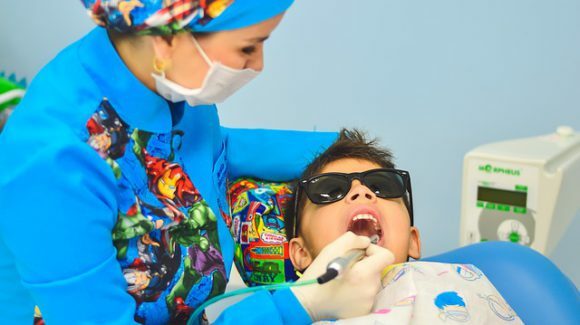 From remaining cavity-free throughout life to a properly aligned bite, you can count on us to be your family’s pediatric dentist in Jacksonville, FL. Let us be your partner in encouraging your child to have a lifetime of excellent dental health habits. Some offices try to remove a parent from the dynamic of a child’s dental appointment, but we think having parental involvement is crucial to allowing the child to feel secure and become comfortable in the office environment. Creating an inviting atmosphere is part of our job, and being family friendly is our first step to meeting that goal. 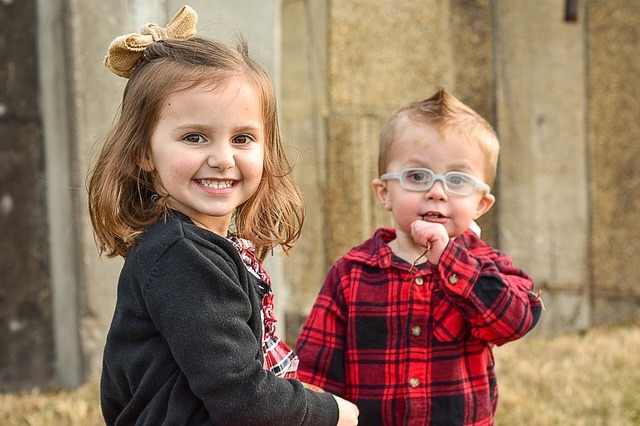 Your little one will always be our top priority! Our location has many dynamic features meant to encourage creativity and fun – even at the dentist’s office. As a pediatric dentist, our office and staff are geared to optimizing a child’s experience. We take the time to ease children into their dental visits and interact with them in a way that builds their confidence and emboldens their natural curiosity. Our office floor plan is set up to be more inviting and comfortable, less hospital-like than a typical office set up. Our colors are geared toward facilitating relaxation. We have TVs showing age-appropriate and fun television shows your child will probably recognize. Everything about our décor is carefully geared toward making our dentist office a fun and inviting place for your child. Patients and their families are always at the center of our pediatric dentistry practice. Even before the age of one, many patients come for their child’s first visit to the dentist. Why do we recommend early visits to our office? We want to familiarize you with how to care for your child’s teeth, even in infancy. Cavities at this age are actually a predictor of how many a child may have in the future. We can assess your baby’s bite pattern development, and help you plan oral care habits which will facilitate his or her best dental health in the future. Life happens, and sometimes so do accidents. Children in particular can meet destructive results as they explore the world around them. In the interest of providing for all of our patients’ needs, our team is fully equipped to handle pediatric dental emergencies. If your child has an accident leading to a damaged tooth or bloody mouth, and does not require immediate medical care from a physician, our qualified pediatric dentist can assess the damage and recommend the best treatment plan. It will always give you peace of mind to know your child’s teeth are being looked after by a professional. It’s a big deal to hear Mom or Dad announce that it’s time to see a dentist. For kids, it can be a very stressful experience, particularly if previous visits have been to offices with a less than inviting atmosphere. We are dedicated to making your youngster feel comfortable, and that means encouraging them to ask questions and enjoy receiving enthusiastic and educational answers. We believe in establishing an open and communicative relationship with our young patients. This encourages them to ask questions and explore the world of dental health with their own natural curiosity. When a child is able to understand a new process, and even get excited about learning, they will move past discomfort or fear and become relaxed. They may even come to enjoy their visits when they know it will provide them with an opportunity to engage in a new and exciting conversation about their oral health. Few things can be as intimidating for a child going to the dentist as getting an x-ray. We understand this and go to great lengths to facilitate your child’s comfort. We offer cutting-edge, 3-D X-ray technology that makes the results easier for you to visualize and creates a comprehensive profile for our dentist to use as a basis for treatment. Our inviting floor design, caring children’s dentist and specialized pediatric care all speak to our dedication to our work. We are always accepting new patients, and we serve patients with all types of insurance. 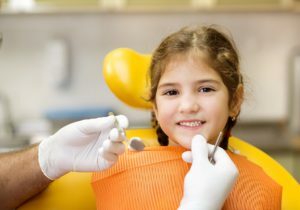 You can give your child a positive experience with the dentist that will help them enjoy great dental health for life. And in the case of an emergency, as a patient you enjoy the convenience of already being established at our practice. This will reduce the stress of a traumatic situation and give you and your child both peace of mind sooner.